K-9 Mail is the go-to mobile secure email application for Internet Freedom defenders globally. 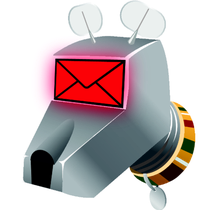 An open-source security-enhancing email app available on mobile Android devices, K-9 is the most widely used encrypted email platform available through the Google Play store, with between 5 and 10 million downloads and availability in more than 30 languages. A key K-9 feature is its compatibility with PGP encrypted mail, allowing human rights activists, journalists, and other at-risk users to secure their mail in a usable, reliable way. K-9 is open-source and community-developed, welcoming reviews, suggestions, and scrutiny - further enhancing K-9’s security and transparency.